Ruby Roundhouse is a fighter and a "man killer" in Jumanji. The movie narrates the story of four teenagers finding a vintage video game version and getting sucked into its jungle setting. Ruby Roundhouse, portrayed by Karen Gillan, is Martha's avatar. 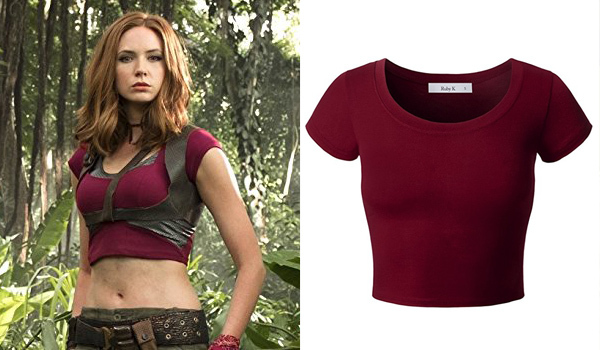 The shirt that Karen Gillan wears in Jumanji for her role as Ruby Roundhouse is a maroon crop top. 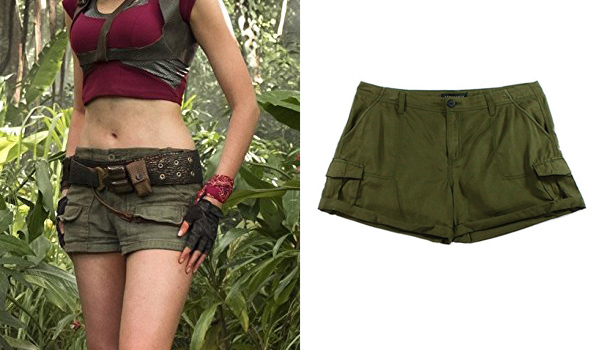 The short that Karen Gillan wears in Jumanji for her role as Ruby Roundhouse is an army green cargo short. This Sanctuary short seems to be a very close match. 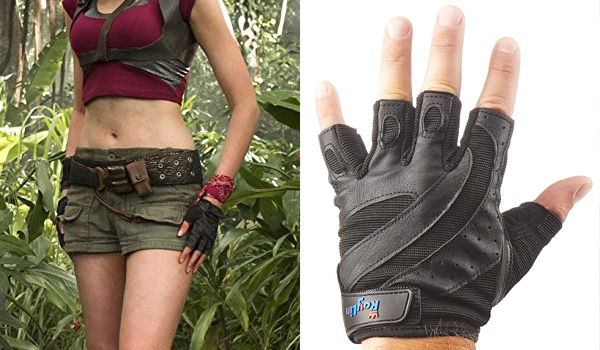 The gloves that Karen Gillan wears in Jumanji for her role as Ruby Roundhouse are black fingerless training gloves. 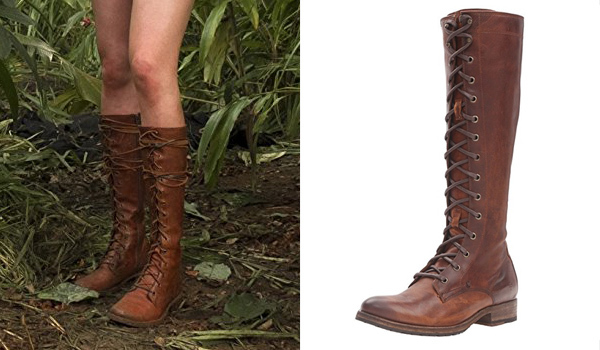 The shoes that Karen Gillan wears in Jumanji for her role as Ruby Roundhouse are brown leather knee-high boots with laces. They are Frye Melissa Boots. what about the accessories? the top, and the belt?